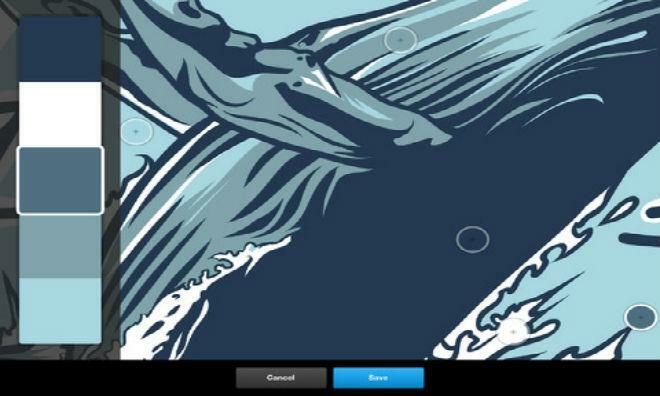 Adobe has added stylus support to its freeform iOS drawing app, Ideas. Meanwhile, popular picture taking application Camera+ has been updated to add a range of new effects and features. Adobe Ideas is a freeform vector illustration app from the biggest name in software for creatives, and now that app has come to version 2.7. The update released on Tuesday added the ability for users to choose their stroke-smoothing, as well as the ability to share work with other Adobe apps, including Photoshop Touch. The update also adds compatibility with Ten One Design's Pogo Connect Bluetooth Pen. That means that users will be able to leverage the pressure-sensitive features of that device in order to create more detailed works. Adobe Ideas version 2.7 is available as a free download from the App Store. The 9.2MB download is compatible with iPhones, iPods, and iPads running iOS 5.1 or later. Premium camera app Camera+ saw an update on Wednesday, adding a number of features to bring the iPhone and iPad versions of the app closer to each other. The update now allows users to combine any number of Camera+'s effects to create new composite looks. The iPhone version now also supports effects layering, after the Camera+ team went through multiple iterations to get the user interface right for the smaller screen. The update also adds a new effects pack for the app. The new pack is called the Hollywood Effects Pack, and it includes nine new effects, as well as nine new borders. Those effects and borders are all styled after assorted movies and film promotional standards. Users can demo the Hollywood Effects Pack for free, and if they decide to buy it, the in-app purchase costs $1. The update also contains a number of bug fixes and stability optimizations. Users can also link Camera+ with their Facebook accounts, provided they have logged into that account on their iOS device. Camera+ version 3.9 is available as a $1 download in the App Store. The 36.9MB download requires an iPhone, iPod, or iPad running iOS 5.0 or later.